rick.lang wrote: It's like doubled in size overnight! From one to two... Going to feel like a real set when the third (25mm) and fourth (32mm) lenses arrive in November and hopefully early 2017 respectively. Mmmmmm, I bet that 85mm is gonna be nice hahaha. Dwane, if you want to get started with the APO PL primes, there's a mint condition 50mm APO for sale on BMCuser in the For Sale section. rick.lang wrote: Dwane, if you want to get started with the APO PL primes, there's a mint condition 50mm APO for sale on BMCuser in the For Sale section. Finally got Canada Customs clearance and the 85mm APO has departed Vancouver and should be delivered to me in Victoria by the end of the day! Good grief, Charlie Brown! With the delay in the shipping due to changes in the shipping invoice (the problem not at all UPS), UPS must have sensed my ennui. UPS has flown the package to Victoria and in less than 15 minutes after arrival in Victoria, it's Out for Delivery. Thanks UPS! Great Rick! UPS can surprise us every now and then. I find their delivery is more prompt than most other services. Here ya go for those who prefer a picture to a thousand words! All I need now is a good night’s sleep! Congrats Rick! Are you sure you,are going to be able to sleep? rick.lang wrote: Here ya go for those who prefer a picture to a thousand words! All I need now is a good night’s sleep! I hope so, Denny. The IE Pro 82mm is on the lens in that photo and I'll add the SLR Magic Vari-ND tomorrow to do some EXT DAY. I have the Chrosziel Fluid Zoom Control as my follow focus and a lens support mounted with the 85mm. Not much room for rail gear with these relatively short APO primes. The 3-lens case is substantial, but I wish it had a few cutouts for filters. Maybe someone in town can do that for me. No rush until the future 25mm lens occupies that vacant spot. My 25mm and 85mm are arriving today! Domingo, are you beta testing or buying the 25mm APO? I was told the release of the 25mm was expected to be by the end of November. rick.lang wrote: Domingo, are you beta testing or buying the 25mm APO? I was told the release of the 25mm was expected to be by the end of November. Domingo, you are a thief! Now return that 25mm APO to Vic Harris or me within 48 hours and all will be forgiven! I'll even pay your shipping costs. Okay, if you didn't bite on that one, how about posting some test results of the 25mm APO within 48 hours? We are anxious to see how this one performs if you can do something akin to this test. Especially looking forward to seeing how it renders your cat as you pan centre to left to right and back to centre frame. If you don't have a cat, well we will settle for a model's face. Thanks for your efforts. Unfortunately they still have to travel a long way home. I sent them to the US and now someone will bring them to Chile. This is the only way I can avoid crazy taxes. Meanwhile we can watch this picture as we wait. Of course I will gladly do some tests once they arrive. Cheers. Domingo, wishing you good luck and good fortune. So that's what the Pot of Gold at the End of the Rainbow looks like! Actually very similar to my 50mm and 85mm in their protective case, plus some goodies. Earlier I had posted that the 25mm APO prime would be shipping by the end of November, but it is obviously not the case as the lens is shipping now. I just received notice that my 25mm APO lens should be ready to ship this week. Great news Rick, now you will have a good set of primes to use also. The 25mm should be wide enough for most situations too. The 25mm should give you about the same FOV as my 12mm Super Speed on the Micro/Pocket camera. Now you can get both twins in the same shot! I can't wait to compare it for my purposes to the well regarded vintage Zeiss Master Prime 25mm frankly that I posted earlier in this thread. Good Rick, look forward to see your results. 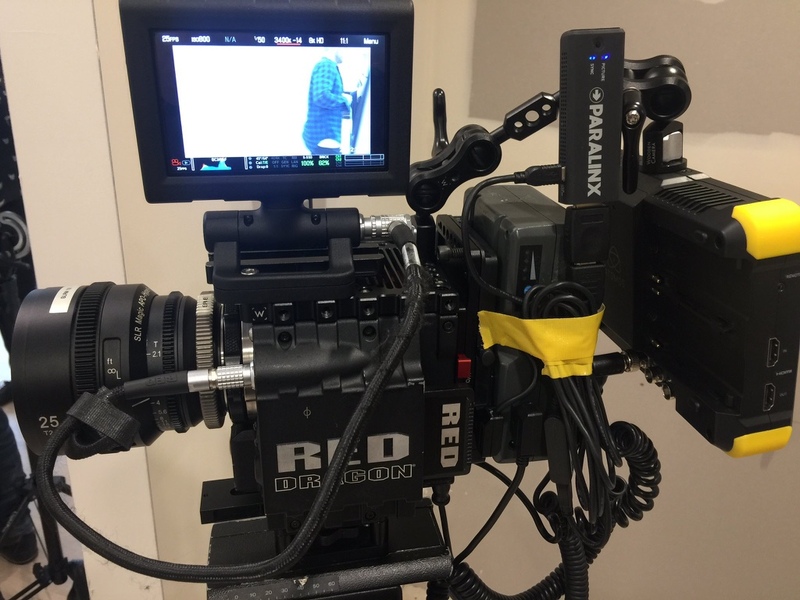 I did a test yesterday with th.e 16mm Suoer Speed and my Veydra 16mm, they were very close, and unless side-by-side, hard pressed to tell them apart. End of the week Rick? Nice Seems as though the full sets will be sent out to the end of Oct. Yes, Vic, I hope to have it here by the end of next week and will try to organize a modest test of the optical behaviour of the 25mm. I think you know what it can do based on your beta tests, but I want to see how it handles interiors as well as exteriors and especially see if it is kind to people across the frame assuming I keep a reasonable distance from them. If it is it will likely be a very useful focal length. Very happy with the 50mm and the human body, but will be interesting and more challenging working at 25mm. And a huge thanks for your efforts by the way with the test of the APO prototypes and encouraging SLR Magic to make some important changes to the operational characteristics and including threads! We owe you! rick.lang wrote: Yes, Vic, I hope to have it here by the end of next week and will try to organize a modest test of the optical behaviour of the 25mm. I think you know what it can do based on your beta tests, but I want to see how it handles interiors as well as exteriors and especially see if it is kind to people across the frame assuming I keep a reasonable distance from them. If it is it will likely be a very useful focal length. Very happy with the 50mm and the human body, but will be interesting and more challenging working at 25mm. It's distortion is very well controlled. I'm sure you'll be happy! And thanks for the compliments sir! It was my pleasure. Hey, how'd you guys get the 3-lens case? I didn't even see it as an option, though I know it exists. 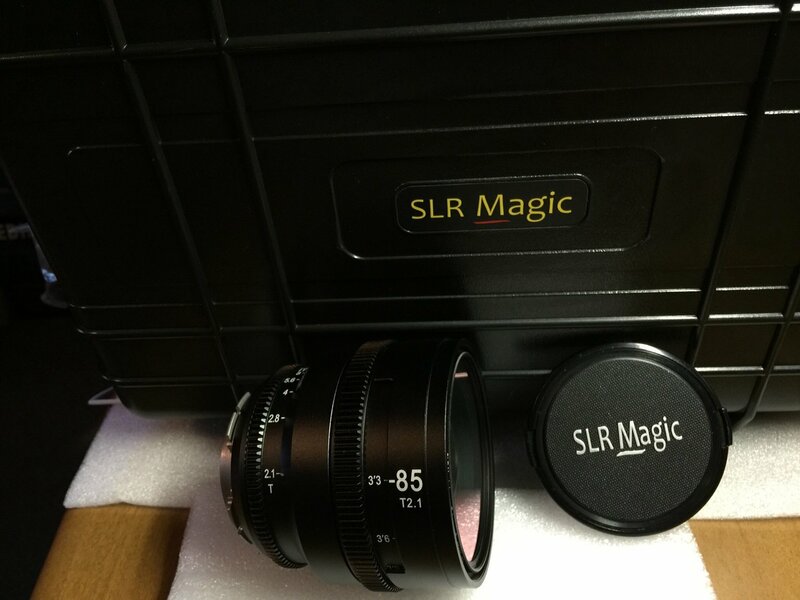 Jason, just order it from SLR Magic directly when you order the 25mm APO. Jason, why not hold out for a Halliburton case -- go first class! Denny Smith wrote: Jason, why not hold out for a Halliburton case -- go first class! Sure...maybe I'll buy two: one case for the lenses and a second case to put the lens case in so the case is extra protected inside the other case, just in case. But, seriously, I asked if it was a Pelican because in the photos the extruded plastic lines along the face look like those of a Pelican (I have a 1610 for my BMCC and its acs), so I was wondering if it was a genuine or a knock-off...or if someone else (like SKB) maybe also used the same decorations, not including Storm which is a subsidiary of Pelican. So, I was just wondering. I had a customer who wanted a Halliburton case for his camera in a Kayaking trip. I explained it was only splash resistant, the the then new Pelican case was completely water proof, especially if positive pressurized (they had a valve on the early cases to do this). There was no convincing him to go with the Pelican, he wanted "class" BNW case, not a VW case. I put it on the invoice that the case was not water-proof (even though Halliburton claimed it was). Sure enough he show up two weeks later with the case, and his cameras packed in mud inside the case! Was he mad, said the kayak had rolled over, with the camera case strapped on the back. No it didn't I said, this case was totally underwater for more than a few seconds, more likely would,up,in the bottom of a muddy river going downstream for several,minutes or more. I added insult to his "wound" by adding if he had bought the less expensive Pelican case, his SLR camera gear would have survived, no damage. I pointed to his invoice, which I had made him sign, that the case was Not waterproof if submerged under water. Bottom line, my boss decided to smooth his feathers by offering to have his camera and lenses cleaned and repaired for store cost of any parts required, free labor in our repair department. That is customer service -- the store, Adolph Gasser's in San Francisco of course! Last edited by Denny Smith on Fri Oct 14, 2016 2:26 am, edited 1 time in total. Jason, it has that look but I don't own a Pelican case to compare. It's branded SLR Magic. If you ask support@slrmagic.com they'll likely tell you. Let us know. It seems to be a good case to me, but I haven't taken it into the bath! Rick. If you do decide to give it a go in the bath, take your lenses out first! Jason, the case comes as a complimentary gift if you purchased both the 25mm and the 85mm lens. This offer expired on September 30th. Maybe you can still get it at a special rate if you contact them and buy a lens plus the case. Domingo, thanks for reminding us of that purchase of both lenses. That's what I did. But I think when the three lenses are offered as a set perhaps around the end of October, the protective case offer will be there once again. In Canada, there are no free gifts, as Canada Customs requires the value of each item to be listed on the shipping invoice. That held up the shipment of my 85mm lens and case and filters. The next shipment of the 25mm APO won't have that problem. Nice to see, Domingo. SLR Magic seems to be moving the APO along more quickly now with this mainstream listing at B&H Photo. Must be a very fresh listing you found as there are almost no details attached to the listing. I wonder if they'll put together a promotional video for the APO, perhaps for their YouTube channel. Rick, Just saw the case on B&H website, looks like a Pelican Case to me. Domingo Sandoval wrote: Jason, the case comes as a complimentary gift if you purchased both the 25mm and the 85mm lens. This offer expired on September 30th. Maybe you can still get it at a special rate if you contact them and buy a lens plus the case. That's weird. I did purchase my 25mm and 85mm before Sept. 30. Maybe there's something in the email I overlooked. Thanks! Denny Smith wrote: Rick, Just saw the case on B&H website, looks like a Pelican Case to me. B&H listing? Awesome. That's pretty legit. And yeah, that certainly looks like a Pelican. On larger cases there is sometimes a label under the purge valve that says "Genuine Pelican Case". Jason, if your 85mm hasn't shipped yet, it will be included. Send a note to SLR Magic if you don't find it in the shipping email notice. Or ask them about it if it seems their email overlooked it. VicHarris wrote: End of the week Rick? Nice Seems as though the full sets will be sent out to the end of Oct. Hasn't shipped by the end of the week, but if it does ship early this week, I'll have it by the end of the week. A shoot was cancelled today due to the weather, so I'm getting antsy to shoot that APO lens test. Didn't get to shoot anything all week due to the rains. The good news is currently no rain in the forecast for this coming Friday and Saturday so that could work out perfectly for a test. Good, lets hope the weather breaks next week. We got rain and high tides combining together, so the coastal road (Hwy 1) will have flooding in the low switchbacks, where it crosses the small streams. Hope your lens arrives soon Rick. It took a full week for UPS to get it done, but the SLR Magic 25mm T2.1 APO has arrived. Smooth and solid. Hope to arrange a comparison test of the three APO primes. I have a shoot tomorrow and Sunday, but I should be able to test it briefly on Friday (weather permitting). It's a relief to have this lens! Congrats Rick? You now have a Cine lens set. Finally got around to doing some careful testing of the APO lens set a few days ago (had to do something when I couldn't post messages here ). I found the lenses were generally focussing before the witness marks. For example, with an object carefully measured as 4' away, the best focus at T2.1 would indicate the lens was focussing at 3' 9" roughly. SLR Magic provided me with an RMA to shim the lenses if I returned them. But I'm going to shim the URSA Mini 4.6K PL mount instead. It likely needs an additional 0.025 or 0.015mm shim. Trying to find some time to add the shims and retest so I'll let you know my results in a few days. Now back to editing! Tested the APO lenses again today with a 0.025 shim added to the PL mount on the URSA Mini. That appears to have brought my 25mm and 85mm into very accurate focus with the witness marks at 4'. However, the 50mm APO correction was minimal and insufficient. Andrew called and said if I RMA the lens, they will actually adjust the lens elements so that it focuses to the same tolerance as my 25mm and 85mm, so then the 50mm will work without any different shimming on the lens or the camera. I have an important shoot Sunday, but I'll send the lens off next Monday or Tuesday... sniff, going to miss having the 50mm APO as it's my go to lens. I haven't done the three lens comparison yet as I was waiting on a resolution to the issue of the witness marks, but I do like the 25mm APO as it is very well controlled in terms of any distortion. I don't have any formal test of that, just anecdotal observations of the images it produces. For the next few weeks it will become my go to lens. I think these lenses are great value. SLR Magic has given a lot of thought to how they can make a modern lens that will have a great signature for cinematic purposes with an emphasis on clarity over sharpness, the use of only glass elements, and the use of only spherical lenses in an apochromatic lens (the way lenses used to be built) that produces a pleasing bokeh and flattering look at the cost of being heavier and requiring more elements than a lens relying on aspherical lens elements. Rick, glad the camera mount shiming worked. The 50mm lens will be back in no time, no worries?